Reiner Jordan Larson specializes in training and managing high-quality futurity and derby horses for clients based out of his Whitesboro, Texas training facility — but he’s also asserted his own claim in the reining ring. 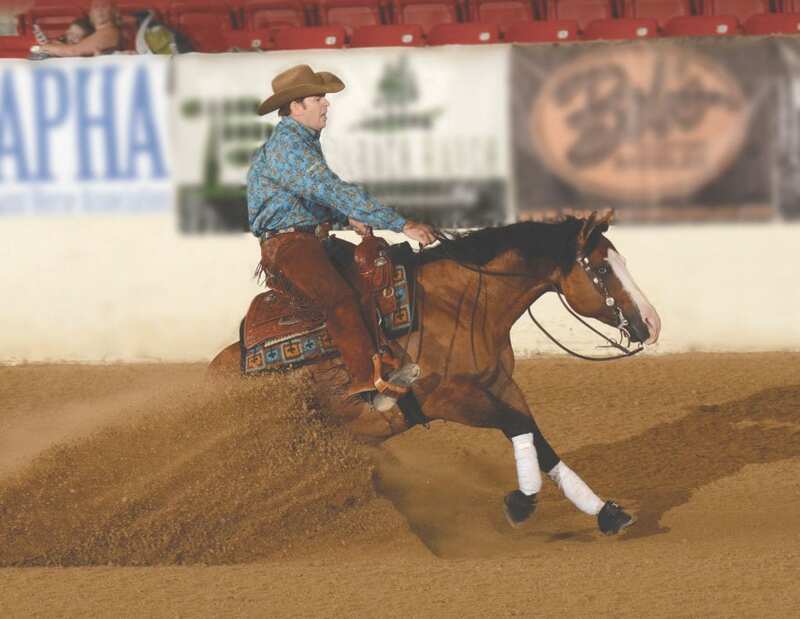 Jordan has two NRHA Open Futurity Championships under his belt along with three AQHA World Championships, two Paint World Championships, and an Open Derby Championship, and was the NRHA leading money earning professional in 2013 and 2014. In addition, Jordan was a member of the US reining team that took gold at the 2014 World Equestrian Games in Normandy. As a NRHA Two Million Dollar rider and NRHA judge and clinician, Jordan knows his horses — and how to ride them to success. The life of professional rider and trainer is a busy one. Competitions take Jordan and his team (which includes his wife and three kids, Hannah, Cash and Chloe) all over the country. Jordan’s show schedule is jam-packed, as he often rides several horses at each event for various clients whose horses are competing at very high levels. The reining circuit also takes its toll on the horses that train hard -and travel frequently to get to high-stakes shows. Reining is all about showcasing the athleticism of your horse, which might be demonstrated through patterns that include large and small circles, flying lead changes, 360-degree spins, and of course the sliding stops that cause dirt to fly and are the hallmark move of reining. Jordan asks a lot from his horses — and they give a lot in return. He’s well known for the high level of care and concern he shows for his horses, so when he started noticing that some of the 3-year-olds he was riding were having trouble keeping weight on, he decided he needed to take immediate action. 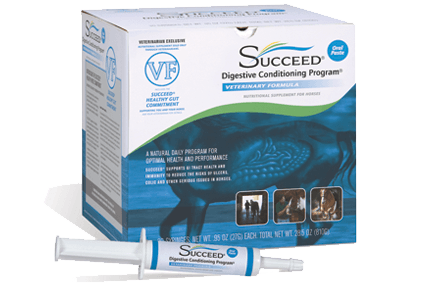 His veterinarian recommended that he try SUCCEED Digestive Conditioning Program to address some of the challenges his horses were experiencing. Other friends and trainers in his circles also suggested he try SUCCEED, citing their own positive experiences in supporting the digestive system to encourage better overall health. Since he could see that a healthy digestive system is key to maintaining better weight, Jordan decided to give SUCCEED a try. Jordan hoped the horses he put on SUCCEED would look healthy and maintain good weight. He also hoped that if his horses felt better that they’d also perform better. 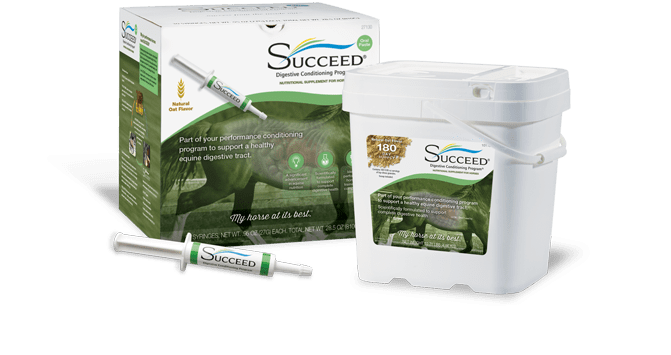 Impressed and encouraged by the positive changes he saw in the gelding, Jordan started feeding a daily dose of SUCCEED to the other top-performers in his barn that he thought would benefit from a healthy digestive system and its impact. Now, he keeps anywhere from 10 to 15 of his horses on SUCCEED.